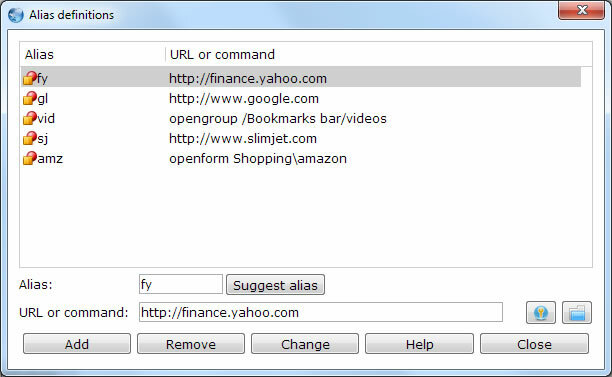 What makes the alias feature in Slimjet more powerful is that you can even define aliases to open a QuickFill form file, or set it to open all bookmarks under a bookmark folder like a site group. For example, you can type "fy" in the omnibox and the site http://finance.yahoo.com will show up as the first match. All you have to do is to press enter to go to the Yahoo Finance website.